The most difficult part of spaceflight is getting off the ground and into orbit. Mankind has long dreamed of easy access to the heavens. It is even the idea behind the Tower of Babel, as in the Book of Genesis the descendants of Noah say, "Let us build us a city and a tower, whose top may reach into heaven." 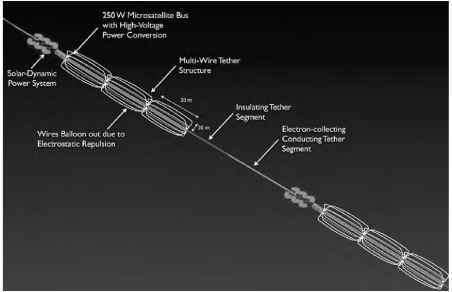 The use of a space elevator to lift things from Earth into orbit is by far the most daring, complicated, and challenging application of tether technology, but also the one with potentially the highest impact and most benefits. In Chapter 1 we discussed the basic principle behind the space elevator concept. Now we get a closer look at this fascinating idea.